RouteOne Canada announced recently it has completed integration with CU Dealer Finance Corp. — a Saskatchewan-based network of Credit Unions touting a large dealer network across the area. What does this mean for dealer customers? 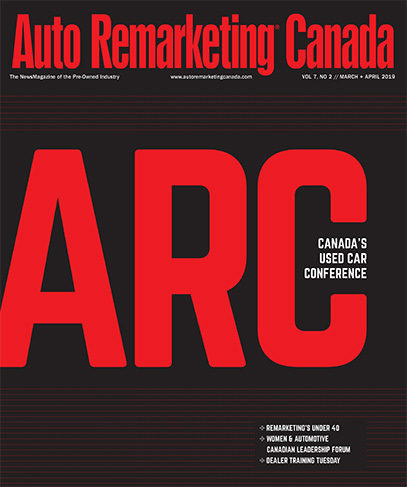 Now, CU Dealer Finance Corp. dealers will be able to send credit applications electronically through the RouteOne Canada platform, as well as manage the entire scope of the credit application process, the companies explained. "RouteOne Canada is extremely pleased to welcome CU Dealer Finance Corp. to the platform," said Barry McMillan, president, RouteOne Canada. "The addition of a quality lender like CU Dealer Finance Corp. which represents credit unions across the province of Saskatchewan allows us to greatly expand our service offering to our mutual dealer customers in one of Canada's fastest growing provinces." One of the most beneficial offerings from RouteOne Canada for dealers is it’s single-portal set-up. RouteOne Canada's credit application management system enables automotive dealers to access their finance sources, exchange credit application and decision information, and print documents online, all within a single portal. "The availability of CU Dealer Finance Corp on the RouteOne platform allows us to broaden our reach to dealers across our market and deliver our full suite of automotive lending products and flexible financing options," said Darren Beasley, divisional manager at CU Dealer Finance.